What About the Debt Justice Owes to Us? The Atonement is the means by which both mercy and justice can be simultaneously satisfied. The Savior has paid our debt to justice (caused by our sins and transgressions in this life) in full through His suffering in the garden and on the cross. By paying our debt He extends us mercy. We no longer need pay that debt. He has paid it for us. In order to receive the Lord’s mercy for the debt we owe to justice, we must become willing to accept His payment of our debt. We demonstrate our willingness by humble repentance. In 12 Step terms, as we work Steps 4 – 10, we unlock the power of the Atonement and apply it to our weakness, sin and shortcomings. We repent and do our best to obey the commandments going forward, and He pays our debt. But what about the debt justice owes to us? What about the things that have happened or been done to us, which were not caused by any sin or transgression on our part? For example, what if we have been abused, or suffer from physical, mental or emotional illness? Do we get compensated for those things? Have you suffered pain that was not a consequence of your own choices? Then justice owes you a debt, and the Lord has paid it. Indeed, He paid it before you were born. He knew what you would experience, and He paid the price for your pain and suffering. 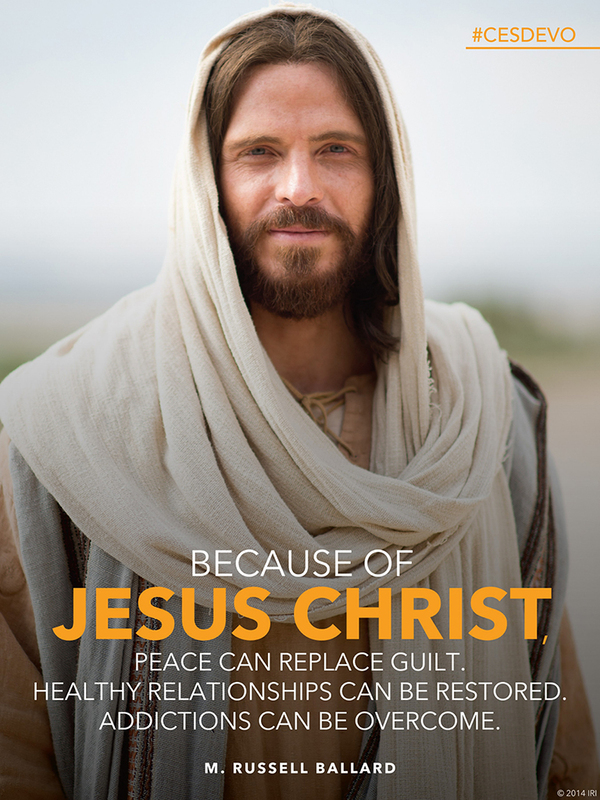 What must we do to receive the healing and compensation Elder Christofferson promises us for any suffering we innocently endure? We have to let go of the resentment, anger, hate and fear we feel towards those who have hurt us, and towards the Lord for allowing those things to happen to us. (See Learning to Let Go, or click on “Letting Go” in the tag cloud to find suggestions for how to do this.) Holding onto negative feelings is like drinking poison and expecting the other person to die. When we let go and choose to begin learning to trust the Lord again, we make it possible for Him to heal us. It takes time and we need His help to do it. Letting go and learning to trust again make it possible for Him to turn our suffering into jewels of testimony, faith, peace, serenity and love. What more do you need to do to pay your debt to justice so you can have the Lord’s mercy applied to your sins and shortcomings? Does justice owe you for innocent suffering? What can you do today to let go of resentment, anger, hate and fear and learn to trust the Lord so you can receive the compensation promised you?